Whether we’re gazing at a 20-foot talking snowman or having a conversation with a giant Christmas tree, the holidays in Akron will never stop being weird. But we’re not complaining. Not only does Wilson cover the birth of Archie, but we also learn about other strange, life-size attractions that amazed and terrified children for years. For example, there was Tom the Talking Horse, a nine-foot Raggedy Ann Doll and Ray, the Friendly Rolling Acres Giant. What follows is a photo of the nine foot Raggedy Ann, which is sure to make you laugh. 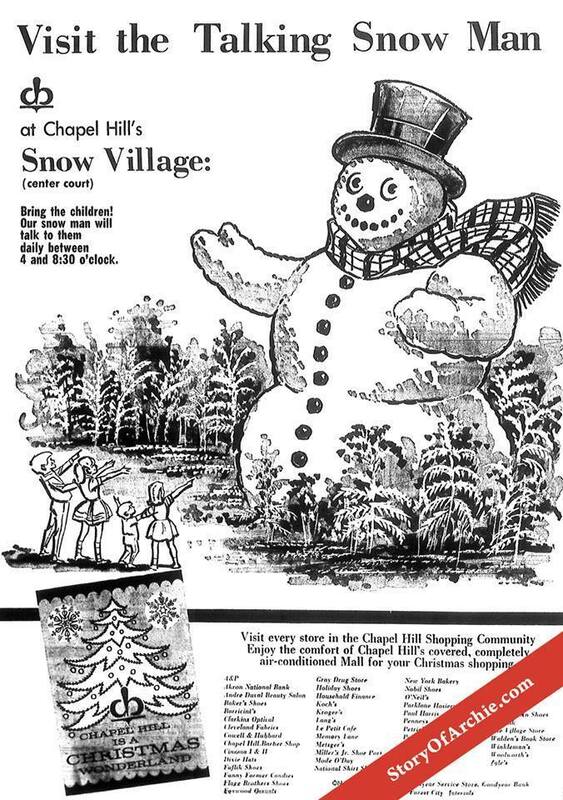 Throughout the book, Wilson talks extensively about the competition between O’Neil’s and Polsky’s, as well as Rolling Acres Mall, Chapel Hill Mall, and Summit Mall, which inspired these outlandish Christmas decorations and window displays for years. Wilson’s sharp and oftentimes humorous account of Archie in the beginning of the book is sure to get you into the holiday spirit. 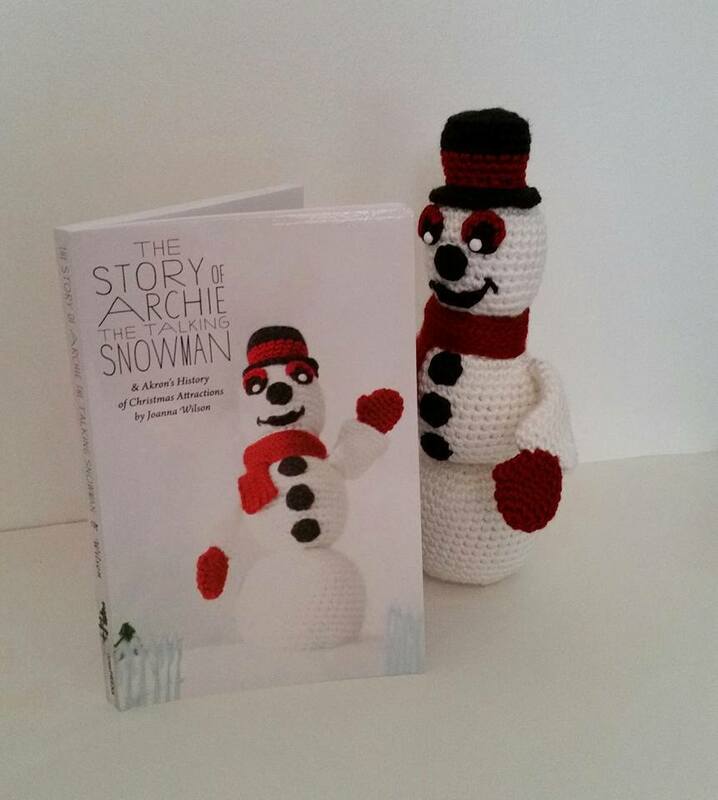 It would also make a great gift for anyone who adored the character growing up, as well as anyone who was (understandably) terrified of him. Wilson herself admits to being hesitant of Archie as a child. “The mysterious voice from nowhere and the flashing red eyes scared me. I never did step up to the platform to speak with Archie, but I never forgot him either,” Wilson writes. Through interviews and public records, Wilson crafts a holiday story that is unique to Akron. Many of the people interviewed and included in the book were individuals who dedicated hundreds of hours to building and renovating Archie. Such a person was Raul Umana, who insisted on changing Archie’s eyes to blue to make him less frightening, but Chapel Hill mall owner Richard Buchholzer wasn’t convinced. Conversations such as these, as well as funny stories about the people who gave Archie his voice will make you nostalgic as it recount Akron’s rich holiday history. Noor was once terrified of Archie as a child. But since his return to Chapel Hill Mall, she and Archie have resolved their differences.